See, little Frankie and Charlie have two older brothers. Cole is in college, and baby Gianni is in heaven, looking out for them all. After the heartbreak of losing their beloved baby, Dez and Al wanted to be very careful with spreading the news of her pregnancy. I can’t say I blame them at all, and WOW is it fun to see the joy of all their friends! Love is floating thick in the air, giving all of us goofy grins. Babies are the most amazing of blessings! Of course those boys were anticipated, the news was quietly shared, but carefully, carefully. 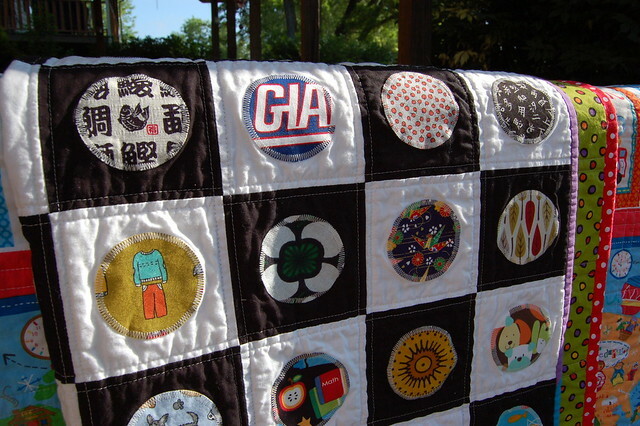 I often show my excitement by sewing and made two unmatched quilts for the boys. 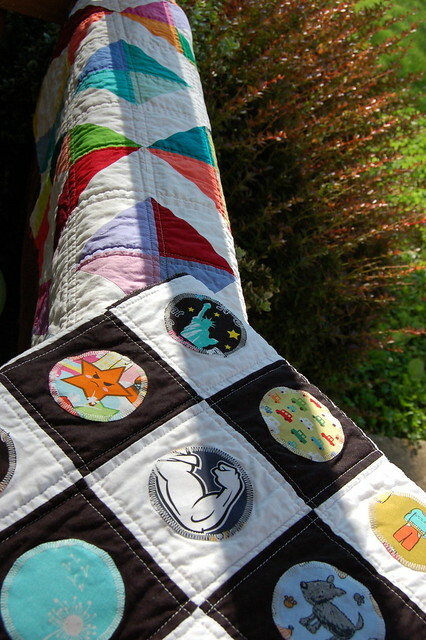 The Spectrum quilt has special meaning as well. After the loss of Gianni, a friend said that the sunrise was Gianni playing with his colors. I’ve tried to look at the sky each morning, take notice of the sunrise and say a little prayer for their family. When thinking of quilt patterns for these boys, my first thought was to make a rainbow for their parents — the promise of better days and the lessening of a storm. The back is an adorable world map that even has a square for Nairobi! Frankie and Charlie, we are so glad you’re here! Welcome to the world! 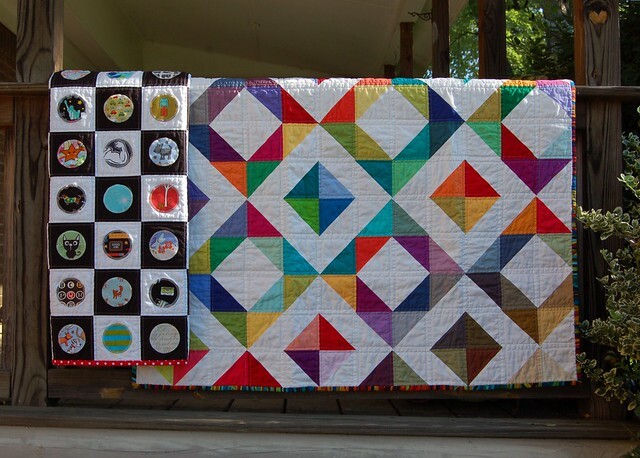 your quilts are always so filled with love! I honestly almost cry when I read your heart in the stories behind them. you inspire me. : ) thank you for always sharing the story behind the beautifulness! Oh, thank you, Amanda! There’s always a reason when we make something for someone, and if I’m going to spend enough time to make a quilt (or two!) it’s probably a very, very good reason. :) I love it when I can share the why, and I’m really happy that you like hearing about it! 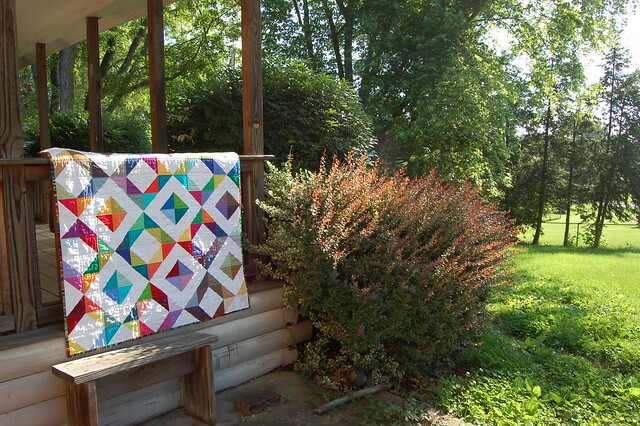 Beautiful quilts, beautiful heart. I know the “love in every stitch” applies here. The careful thought and planning just amazed me at every stage. They turned out sooooo gorgeous. I can’t wait to see the wear they get from Frankie and Charlie. Maybe we’ll even get to see them play on their tummies gazing at the colors. My hope is that they’ll be passed on to the next generation, and that all those little reminders of their family will still apply! 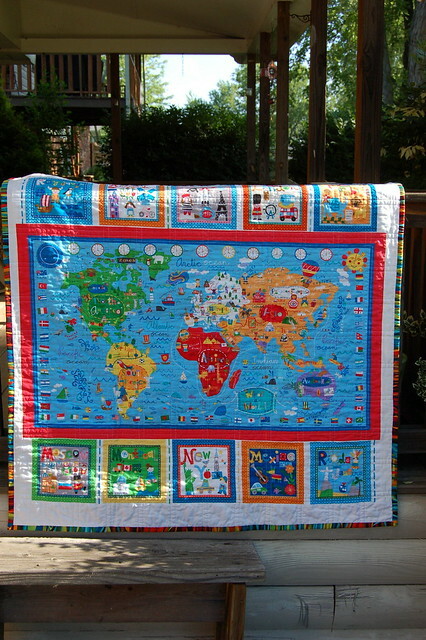 hello, could you make a twin size i spy quilt just like this one? Please let me know as soon as possible. Love it do much. I’m sorry, Joyce, I just sew as a hobby and sometimes make gifts for friends and family members. 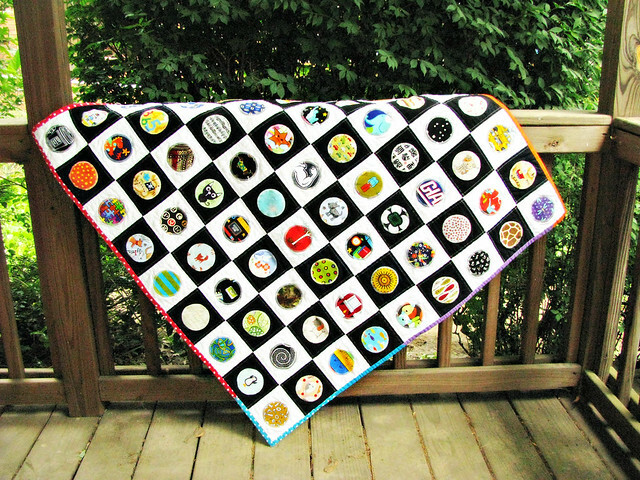 Try Etsy.com, there are a LOT of people selling quilts there, and many that will make a custom quilt just the way you want.